cividas e-GOV allows citizens to interact with public services through electronic means and at the same time makes the work that has to be done within the organization easier and faster. Citizens can contact with the administration at any time and from any internet connected device to gather information about the services available, to request for its presentation, or to check the current status of the process. Once the request is received by the Administration, it is recorded and distributed automatically to the department in charge of its processing; public employees know at all time the tasks that they have been assigned, which of them are pending and their levels of priority. During the execution of the procedure, the service officer is provided with a series of tools that facilitate the daily work, such as the automatic generation of templates or the use of a centralized document repository. Furthermore, the Administration has the possibility of defining the workflow that each of their offered services should follow, with all the associated intermediate paperwork and according to its organizational structure, resources and needs. The Service Catalog informs the citizen of all the benefits offered by the Administration as well as the formalities required for their application. The Electronic Office allows the citizen to submit online requests for the delivery of all the services provided by the administration. The public employee at all time knows the tasks to be performed, which are pending and their order of priority. Flexible execution of the procedures, with the possibility of changing the order in which the procedures are carried out adapting to the actual casuistry of the public employee. Internal processing forms, which can be as simple or as complex as necessary. Single repository for all data and documents related to the records concerned. Integrated registration of inputs and outputs. Quick and easy definition of services and procedures. Intuitive and graphical design of workflows, forms, rules and document templates without requiring programming knowledge. Implementation of changes and improvements while the platform is running (24×7). Document storage and centralization, with automatic version control and multi-channel access. Automatic notification of the citizen and automatic generation and download of official documents with the Administration´s digital signature. Recognized electronic signature, that allows identification of the citizen and provides the same legal validity as if physically signed. 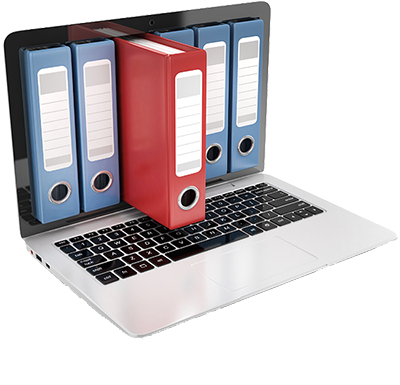 Digital signature folder for approval and signing of electronic documents. Rapid urban growth which required a more streamlined council. A Brazilian city with over 100,000 inhabitants and 150 km² of extension had exponentially increased its population in recent years due to its proximity to one of the main cities of the country and an international airport. This increase in population had generated a strong urban growth and the demands of its citizens. In this council, as in most Latin American countries, cadastral records were still not computerized, but were formed by physical records, which was a major problem when storing and especially consulting them. The need to respond faster without increasing staff. The town hall was collapsed before this rapid growth: the officials had to double their efforts and as if this was not bad enough: serving the demands of citizens took an increasing amount of time and going to the town hall had become a nightmare, with long tails for any kind of inquiry, especially those related to the planning department. Unable to increase the available resources while growing their city, the government team of the City Council had to implement a solution that would allow their employees to drastically increase their efficiency as well as provide tools to exercise more effective control over the constant urban growth of the city. This urban growth was greatly complicating the control of the cadastre, with all the disadvantages that this means for planning public policies, collecting taxes or accessing information on the registration of property of the city council. Introducing new ways of working and interacting with citizens. Fortunately, this council had a government team, who decided to implement the eGovernment pratform cividas e-GOV in late 2013. One of the first actions was to publish the Electronic Town Hall, a web site where citizens can make requests online and check the processing status of their records at any time and anywhere. Internally, they implemented several procedures related to the management of the urban area. These procedures allowed them to implement a more efficient way of working and to assign tasks among the personnel of the department. Finally, they conducted a digitalization process of 50,000 records so that public employees could check all information contained in these records directly from their workstation without having to get up and look for them physically. More efficient working methods and better served citizens. This municipality not only has managed to reduce response times, but also has considerably improved the service provided to its citizens and the quality of life of its public employees. The digitization of cadastral records has been one of the most important causes of this reduction in response times, allowing management staff to reduce the average searching time of a cadastral record from 6 minutes to 20 seconds. It has also provided the possible to access these records from the Electronic Town Hall, so that the citizens can see technical data without having to go to the administrative offices and to all this we must add the corresponding savings in paper which has led to significant financial savings and a higher degree of environmental responsibility. The decision of the managers of this Administration to choose cividas e-GOV has achieved results that are now noticeable in various areas of the municipality, not only in town planning, but also better in control of the cadastre which has allowed more effective management of departments such as the environment department or the infrastructure department. Last but not least, a more refined tax collection process has enhanced the economic resources of the city council without raising tax rates and while maintaining a correct fiscal justice, which was not possible before. Another very noteworthy fact is that the aforementioned increase in resources has allowed to fully self-finance the implementation of the cividas e-government platform!